One 14 karat white gold openwork basket ring. 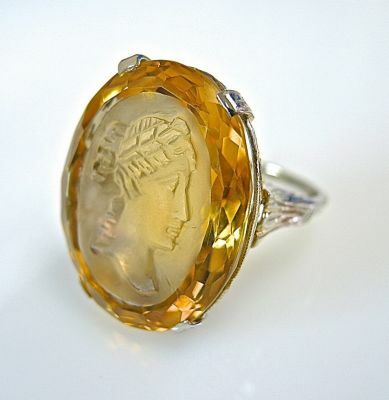 One oval facetted cut citrine (19.52 carats). The carved intaglio depicts the right profile of a lady with a leaf head band.